What do we mean by “Space” investments? Space is often described as “The Final Frontier,” or “The Great Unknown,” however, Space technology is far better known by engineers, scientists, and governments than by the private investing community. Space technology has radically transformed life on Earth ever since Sputnik launched in 1957. Space investments do not generally take the form of investing directly in the Moon or Mars (though some companies are making efforts at deep space resource extraction), but rather in technology that has applications for us here on Earth. What has been the historical Space investment opportunity? Large telecommunications companies have been launching constellations of satellites for years, providing connectivity and bandwidth to consumers on Earth. In 2017, the Space industry garnered over $350b in global revenue, dominated by historical behemoths in telecom. The high cost to access pace combined with the significant cost to manufacture a satellite have driven many of the historical market leaders to access public financing markets and become publicly traded. Why should I invest in the Space market? Decreased cost to access space: SpaceX, along with other launch services companies such as Rocket Lab, have dramatically reduced the cost to access space. Industry adoption of small satellites: The miniaturization of technology – much of the same miniaturization that drives smartphone technology – now enables satellites to be much smaller than traditional designs. 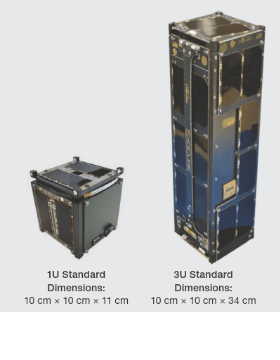 An industry standard for small satellite design, often called “CubeSats” has served as the foundation for new Space companies such as Plant Labs, Spire Global, and Deep Space Industries. Taking advantage of these two shifts, industry verticals that have been dominated by global aerospace firms are being disrupted by new players. Maxar Technologies, which provides Earth Observation (E.O.) data to the US government through its constellation of 5 high-resolution satellites, is being disrupted by Planet Labs and other E.O. startups. Planet Labs alone has over >200 on-orbit satellites that capture medium- and high-resolution imagery. SpaceX has caused Arianespace, United Launch Alliance (ULA), and other established launch services providers to completely rethink pricing for launches. Rocket Lab, and other small-sat launch platforms, are building launch platforms to cater exclusively to small satellite platforms and other smaller payloads as a cheaper way to access orbit as compared to SpaceX, ULA, and others. In addition to startups focused on hardware, software and Big Data companies are beginning to harness the power of the Space market, with companies like Orbital Insight creating algorithms to interpretation E.O.data to drive business and policy decisions. The investing community has begun to notice the huge opportunity that exists in the Space market, having invested almost $14 billion since 2000. Venture Capital firms have been incredibly active, spreading investments across several Space verticals in many global markets. 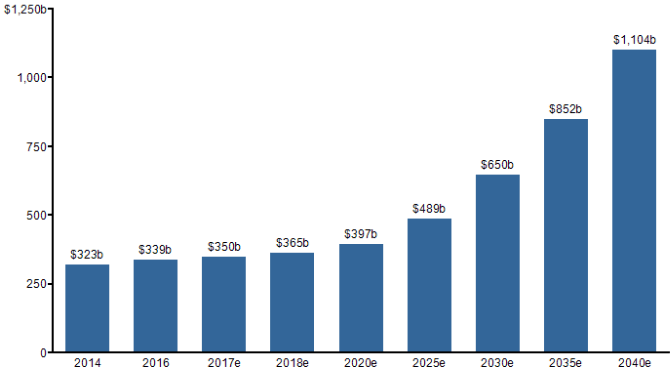 With the overall Space market expected to reach >$1 trillion by 2040, more companies will be seeking private investment. A robust education and commercial environment exists in Chicago with talent and infrastructure to support Space entrepreneurs. The Great Lakes region, its activity dominated by Chicagoland businesses and universities, accounts for >$2t in GDP and significant VC activity. In 2016 alone, there were 462 VC deals accounting for $2.7b in fundraising. Research and commercialization of Space technology and applications can and will take place in Chicago in the near future. NewSpace Chicago is a community of professionals interested in commercializing and developing outer space. We promote Chicago as a center of excellence for new commercial space, space-related, and space-scalable ventures. Learn more at NewSpaceChicago.com. Daniel Mater is a Strategy Consultant in Chicago, IL. He worked in Finance at Planet Labs and is an alumni of the International Space University’s Space Studies Program. CubeSats, Nanosatellites, NewSpace, Space Entrepreneurs, Space Investing, Venture Investment.